Today I'm gonna tell you about my dearest blogger friend. Her name is Maria and she's the author of Remena Nena. I met Maria over a year ago, when all we had in common was that we were both Spaniards from the same region (Catalonia). Nowadays, she's one of my best friends. It all started with a few e-mails here and there. Then a recipe together and lots of conversations on gmail talk. Packages sent back and forth from Boston to Vilanova (Spain). Constant facebook commenting and now our latest obsession, the 'whatsup' application. We talk about pretty much anything, congratulate each other on school progress, plot evil plans to feed our friends with tons of sugar, cream and butter and talk about boys (a lot). We laugh, cry, complain, tell secrets and share our stories. As I mentioned, there's quite a bunch of packages that have gone from Spain to the US and viceversa in the last year. They have contained things like hazelnuts, sprinkles, baking cups, cookie cutters and the last of Maria's crazy ideas, two ice cream cookbooks. She's a more than generous girl and once she heard I'd gotten an ice cream maker, she couldn't resist sending me 'The Perfect Scoop' and 'Ben & Jerry's Homemade Ice cream and dessert book'. 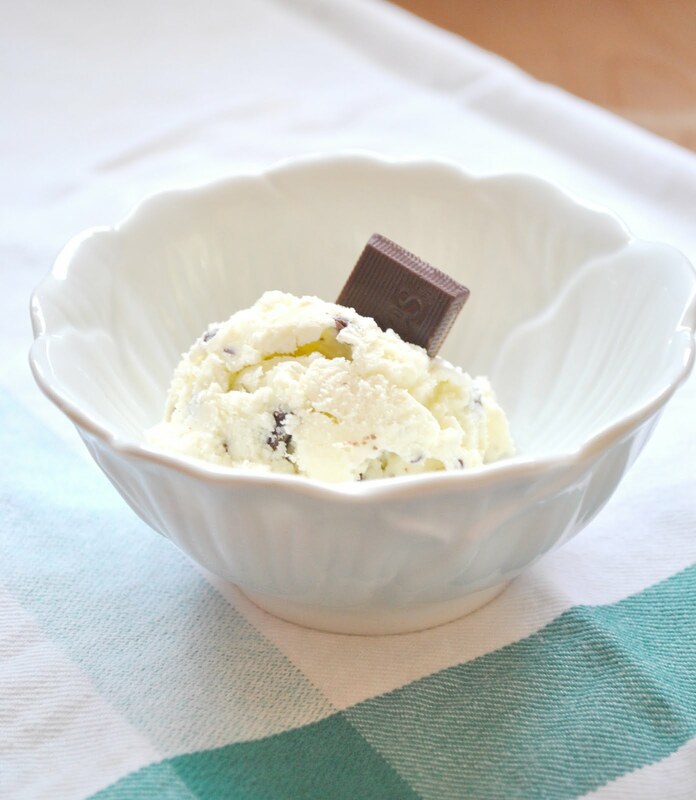 I obviously couldn't wait to use them and made mint ice cream from Leibovitz's book. But before I give you the recipe, let me try to convince you that you should check Maria's blog. Because she's just awesome. I also added a bit of peppermint extract, because after steeping the mint in the milk, I thought the mint flavor wasn't strong enough. I was wrong and it was plenty once frozen. But, I must say that, even though you wouldn't think so, the result of mixing the two, was quite awesome. 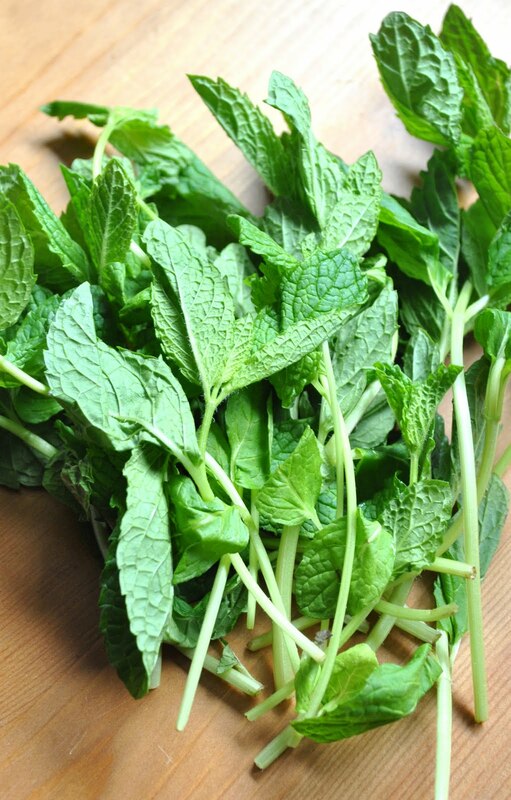 The mint leaves gave the ice cream a fresh flavor and the peppermint has a minty aftertaste that makes it amazing to the palate. I added a teaspoon of the extract, however, you can omit this and I'm sure the result will be great. 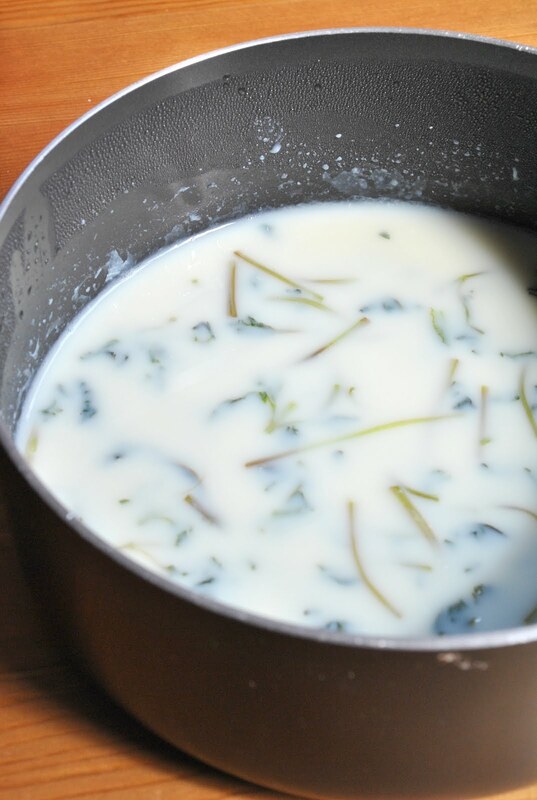 In a pan, warm up the milk, sugar and mint. Once the mixture is steaming, cover with a lid and let the mint steep in the milk for 1hr. I'm not sure you can appreciate it, but my milk was slightly green afterwards. Strain the mint from the milk and bring it back to the pan. While warming up the milk, beat the three egg yolks in a bowl. Once the milk is hot, add the milk mixture to the eggs while continuously whisking. Then bring the mix to the pan and cook until it's thick enough to cover the back of a spoon (or a few minutes at 175 F). Add the heavy cream to the mixture and let it cool in the fridge for at least an hour before freezing. Freeze according to your ice cream maker manufacturer instructions. Once the mix is frozen, add the chopped andes and let the ice cream harden in the freezer. M'encanten els gelats de l'Annie Leibovitz i aquest es perfecte per dedicarli a la Maria, realment s'ho mereix pel bloc que te i per com és ella. T'ha quedat fantàstic aquest gelat. Guapiii, si es que et mereixes aixo i molt més! La biblioteca sencera! T¡has passat, estic mega afalagada! 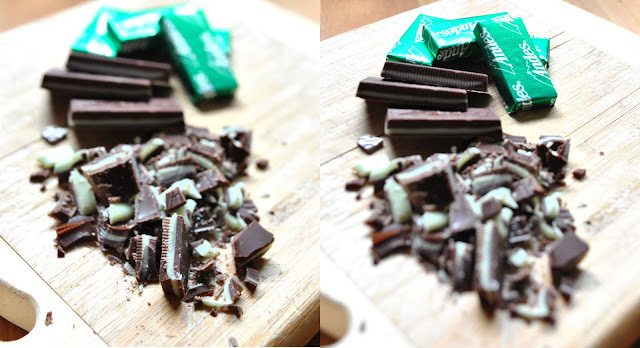 Aquestes xocolatines Andes, amb el gelat de menta hiper mega natural, per morir-se! T'havia perdut la pista, un gelat bestial. Oh my goodness - what a delicious creation!